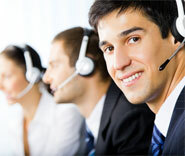 Looking to outsource your IT department and helpdesk team but worried about getting quality service? We are the IT support provider of your dreams that has a team of technical support super heros that are eager to please and go the extra mile. There are plenty of IT support providers to choose from but the difficulty is finding an NJ help desk and desktop support team that is extremely detail oriented, follows the ITIL service life cycle and will go above and beyond in order to exceed your expectations. These characteristics are what differentiates us from our competition and is the reason why we have such high Google review ratings and a 99% customer retention rate for the past 10+ years. We build, manage, and deliver the best IT because we love technology and care about our clients success.